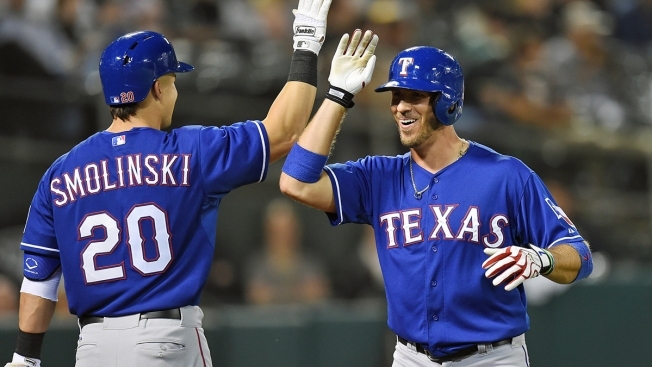 J.P. Arencibia certainly didn't become a fan favorite in his one season with the Texas Rangers last year. Aside from one July tear where he was named AL Player of the Week thanks to a handful of homers and double-digit RBIs, Arencibia brought a big bag of nothing in his one year in Texas. Now, the low-average, high-power catcher/first baseman/DH will have a shot to catch on where so many other Rangers cast-offs have, as a member of the Baltimore Orioles. Arencibia became the latest in a growing number of former Rangers to sign with or be traded to the Orioles in recent years when he signed a minor-league deal with the O's with an invite to big-league spring training. It'll be interesting to see how Arencibia responds with another fresh start, especially under new Orioles hitting coach Scott Coolbaugh, who was the Rangers' minor-league hitting coordinator last season and worked with Arencibia when he was sent down to the minors for a good chunk of time. At Triple-A Round Rock, Arencibia hit 14 homers with a .279 batting average. Yet, in 63 games in the bigs, he hit just .177 with 10 homers.